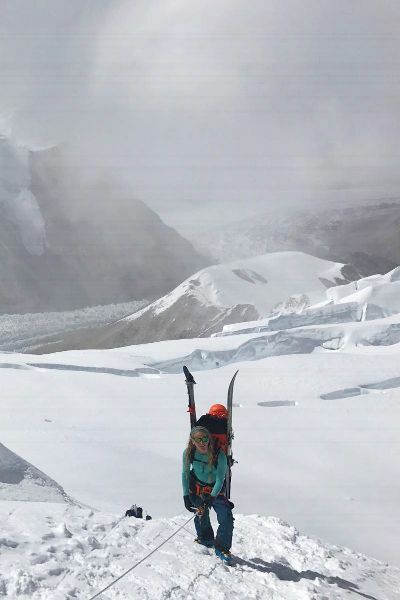 Emily Harrington and Adrian Ballinger had the goal of climbing and descending Cho Oyu in two weeks -- a trip that typically takes climbers two months. A little less than two weeks ago, North Face climber Emily Harrington and Eddie Bauer guide Adrian Ballinger, the CEO of Alpenglow Expeditions, set out on a mountaineering version of "The Amazing Race." They planned to climb and ski Cho Oyu, the sixth-tallest mountain in the world, located on the border of China and Nepal, and return to their home in Lake Tahoe, California, in two weeks. 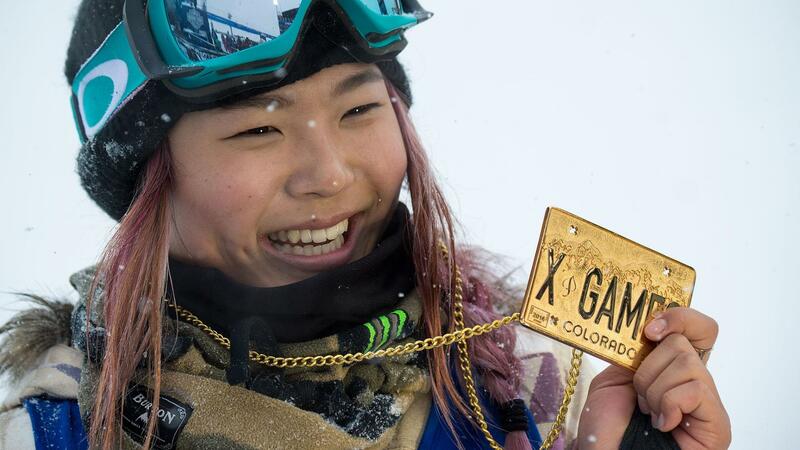 Is Chloe Kim the future of women's snowboarding? 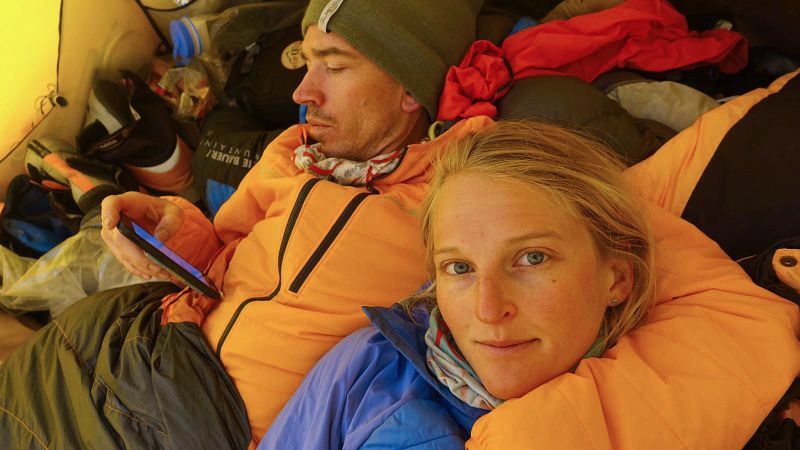 On Oct. 1, on what Ballinger called "the most perfect day on an 8,000-meter peak," the couple reached the 26,906-foot summit of Cho Oyu, 10 days after beginning their journey, and skied down to Camp 1. On Sunday, they awoke knowing they would be back in their own beds by Tuesday, on track to accomplish their incredible two-week, record-setting mission. "Today, we wake up in our tent physically shattered yet so appreciative for the journey of the last 36 hours," Harrington posted to Instagram on Sunday. Later that night, espnW caught up with Harrington and Ballinger to learn about the motivation behind their mission, the implications of their success and what it's been like to share their experience, and their relationship, with the world. espnW: Congratulations on reaching the summit Saturday. Where are you now? 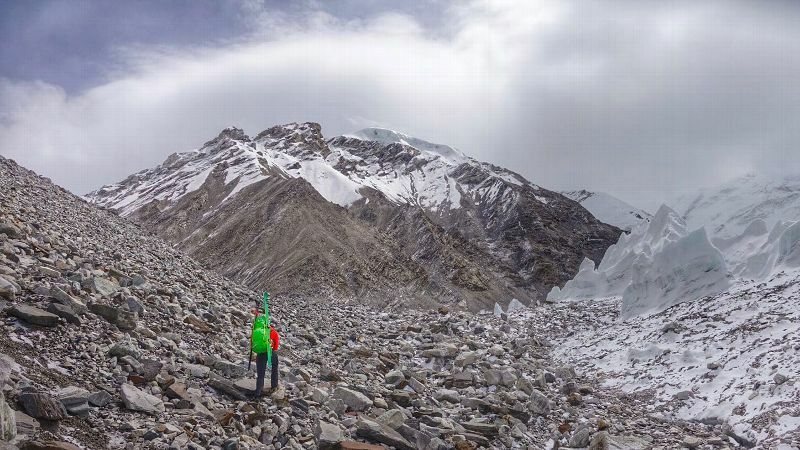 Emily Harrington: At Cho Oyu Advanced Basecamp in Tibet, at 18,500 feet. espnW: What are you setting out to do today? EH: We summited and skied down yesterday morning and made it all the way back here after an exhausting 18-hour day. Today we are packing to leave tomorrow. We will walk 6 miles down to the road and take a jeep to Shigatse, then to Lhasa the next day to fly home. We are packing both to head home and helping the Sherpa pack and prepare for the next Alpenglow trip in a few weeks on Ama Dablam, a 23,000-foot peak in the Khumbu region of Nepal. Much of the gear used here will go there for the next trip. espnW: It typically takes about two months to climb Cho Oyu. What sparked your idea to attempt to do so in two weeks, including travel? EH: Himalayan peaks have been climbed in the same fashion since the first successful ascents that occurred in the 1950s -- meaning multiple weeks or months, many rotations up and down the mountain to acclimatize, or build red blood cells that allow you to continue higher without getting sick, and are essentially these incredibly long expeditions that tax you mentally and physically. But now we have all of this technology that can help shorten that time: better weather forecasting, improved training theory and even ways to pre-acclimatize at home before arriving at the mountain. espnW: How and for how long did you prepare for the expedition? EH: Our strategy involved training at home, pre-acclimatizing in these altitude-simulator tents called hypoxic tents, having all of our logistics and organization in place on the mountain before we arrived, our camps set, permits in place and waiting for a good weather forecast before we left home. That way we stayed healthier by staying home, eating and resting well, and blasting when the time was right. 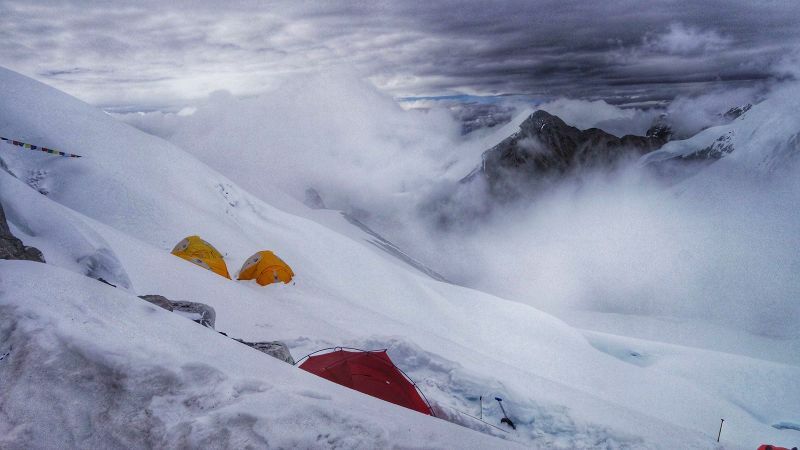 Living for months in a little yellow tent at or above 18,000 feet may sound super adventurous to those who haven't done it, but it can get pretty isolating and you develop a sort of "cabin fever" after a while. It's actually terrible for your health and you return home weak and "skinny-fat." Altitude eats all of your muscle and leaves the fat for warmth and protection. Being a rock climber who loves to push myself on more physically challenging terrain most of the year, long Himalayan expeditions have essentially crippled my climbing strength for up to six months. I'm hoping the two weeks won't do as much damage and I can return home and keep climbing with some remnant of the strength I had before. "Living for months in a little yellow tent at or above 18,000 feet may sound super adventurous to those who haven't done it, but it can get pretty isolating and you develop a sort of 'cabin fever' after a while," Emily Harrington says. EH: Cho Oyu is a great mountain in many ways. It's one of the safer 8,000-meter peaks with low objective hazard, meaning no big hanging seracs, no rock fall and generally dry and predictable weather on the Tibetan plateau. It's also a great ski peak in that there are big open slopes that allow for great skiing if conditions allow. Adrian has been on Cho Oyu twice. Once, in 2007, they didn't summit, but in 2013, he climbed and skied it, so he was familiar. espnW: Have you two done anything like this together before? EH: We've done some bigger trips together, and we are one another's primary mountain partners. We enjoy doing challenging things together. We have different skills and strengths and can learn a lot from one another. It creates a really fun and engaging partnership, no matter what the goal is. espnW: What is the fastest anyone has climbed Cho Oyu, or any 8,000-meter peak? EH: We think someone has done it in two weeks and three days, or something like that. It's incredibly fast to climb an 8,000-meter peak in less than a month. And two weeks is crazy fast and creates an entirely different experience than a longer trip with lots of downtime. espnW: Did you set a record? "Both Adrian and I have tried to climb 8,000-meter peaks with no [oxygen] (him this past spring on Everest and me last fall on Makalu) and it's incredible how impaired your motor skills and reasoning becomes," Emily Harrington says. espnW: Adrian, you own an expedition company. What does the success of this expedition mean for the future of commercial expeditions? Adrian Ballinger: I think these "lightning ascents" are exciting, and lots of people are interested in the possibility. It's for a very specific type of climber who's willing to put in the work at home and gain experience on other mountains first before signing up for such a fast-paced climb. I think there are many different experiences for people to have in the mountains, and this rapid style definitely caters to a certain demographic. Our rapid ascent programs that Alpenglow offers already cut traditional expedition times by 30 to 50 percent, while increasing health and success. Lighting ascents take it to a whole new level and require athletes with the proper experience and the willingness to suffer. espnW: What are the risks involved in making big-mountain climbs more accessible, and faster? AB: The key in making these climbs faster while still maintaining a high level of safety is all in the logistics, the guiding and the experience of the climbers on the team. Cutting corners in any of those areas will lead to accidents. That's where the risk lies. You need the preparation and to be willing to stop and turn around if everything isn't coming together just right like it did for Emily and me this time around. espnW: Climbing is often seen as a sport limited to people with the most time and money. But what about inexperienced climbers who can afford a lightning ascent thinking this is an option for them? AB: Alpenglow Expeditions has standards for joining every one of our trips. We do lots of introductory trips and they are some of our most fun programs. While I hope lightning ascent opens up opportunities for people to go the to world's highest places, each climber still needs to gain experience on other mountains first. 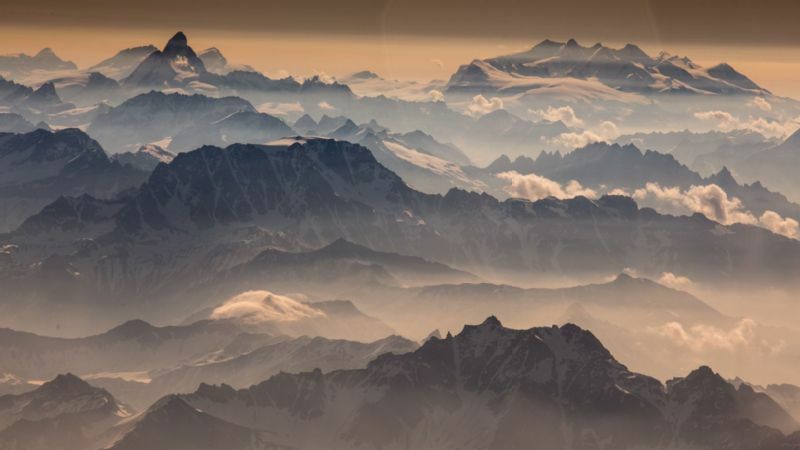 Luckily those mountains can be done in short time frames as well, like Cotopaxi, Ecuador's tallest volcano, in four days and Aconcagua, the tallest peak in South America, in 10 days. Says Emily Harrington of the two-week trip: "We totally nailed it." espnW: Did you use supplemental oxygen? EH: Yes. We didn't feel it was realistic to try for no O's with no acclimatization rotations and really not being fully acclimatized to 21,000 feet and above. Also, we were very excited about the idea of finding a cool line to ski away from the fixed lines on the descent. Not only is skiing far more physically demanding than simply walking down -- some may find that surprising, but honestly, the hardest I've ever breathed was while we were skiing down and not climbing up -- but it requires decision-making skills and risk management that we didn't think were appropriate under the exhaustion and fatigue of a no-O's ascent. Both Adrian and I have tried to climb 8,000-meter peaks with no O's (him this past spring on Everest and me last fall on Makalu) and it's incredible how impaired your motor skills and reasoning becomes. espnW: Social media has become a big part of expeditions, and in getting expeditions funded. Why did you want to share this experience with the world? EH: Climbing feels selfish at times. It's just us out there pushing ourselves and having a good time. But the fact is that sharing our stories seems to have value to others. We receive hundreds of comments a day telling us how impactful and inspiring our shared experiences are to people. Realizing that what you are passionate about might influence some stranger to create something positive in their lives is a pretty powerful thing and something we've decided is worth the time and effort to pursue. espnW: What has it been like to do this, together, while sharing your experience, and your relationship, with the world? Was there added pressure in sharing your personal experiences? EH: We are both pretty used to the whole social media persona versus private lives balance, and I think we do it fairly well. We both share similar careers and passions so we get it, so to speak. I would say there was some added pressure just because we brought it upon ourselves with the whole timeline and everything, but we knew what we were signing up for. espnW: How did it all go? EH: We totally nailed it. Weather forecast, logistics, health, everything worked out. We couldn't be more stoked. This certainly won't be their last adventure together, so if you want to continue following Emily and Adrian's journeys, you can do so on Instagram (@emilyharrington and @adrianballinger) and Snapchat (@emilyaharringto and @adrianjb) and look back at their images from Cho Oyu by searching #chonofilter.